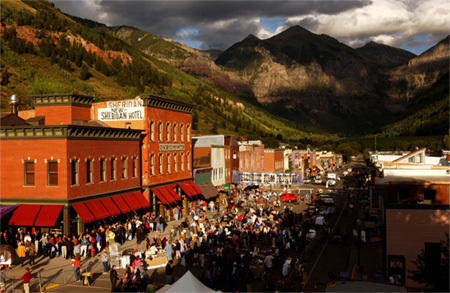 Labor Day weekend for most people means a farewell to summer and a final official holiday before the Fall season but for me Labor Day usually means “The Show” – the annual Telluride Film Festival in Colorado. 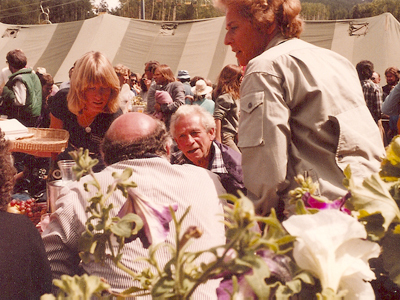 I have been lucky enough to attend several of the festivals over the year but since I won’t be able to attend the 41st annual event (Aug.29-Sept.1), I wanted to pay tribute to it with a blog about my first visit there – The 8th Telluride Film Festival in 1981. 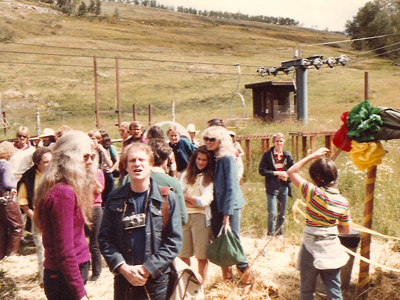 The first time I heard or read about the Telluride Film Festival was in Film Comment. 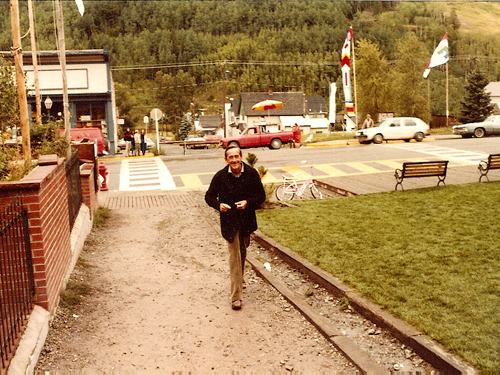 I wasn’t even sure where it was in Colorado for several years but the reports of the guests, honorees and films that were celebrated there made me long to attend. I finally managed to scrap together enough money for a festival pass in 1981 when I was living in Athens, Georgia. The pass structure was somewhat different then and, if memory serves me well, an all-inclusive pass cost $350 and admitted you to all venues without guaranteeing a seat. 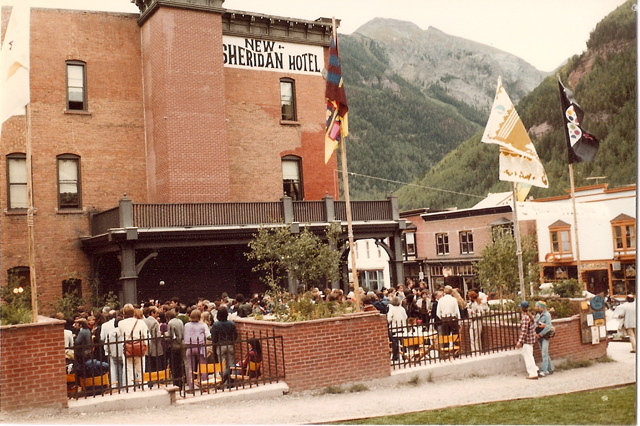 At the time, the exhibition spaces were the Sheridan Opera House, The Nugget (the site of the town’s regular cinema which first became operational in 1995), Elks Park for outdoor screenings and the Telluride Community Center which was a bare bones, all-purpose hall with folding metal chairs. It has long since been replaced by the Galaxy. The policy was first come, first served and you’d have to queue up early to get a good seat. I was coming solo to TIFF and didn’t know anyone who was attending. My wife and I had recently divorced, I was living in a rented room in a friend’s house and working at a low-paid job in the University of Georgia Special Collections unit in the main library. This was going to be an escape from reality. 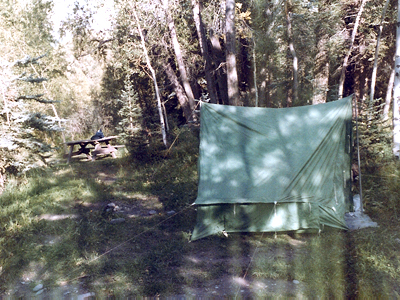 Knowing I couldn’t afford to stay in a hotel or even a bed and breakfast in Telluride – and this was before the lodging situation became even more outrageously expensive for the average visitor – I took my camping equipment (tent, sleeping bag and backpack) with the assumption that I could set up a home base at the Telluride camping grounds. 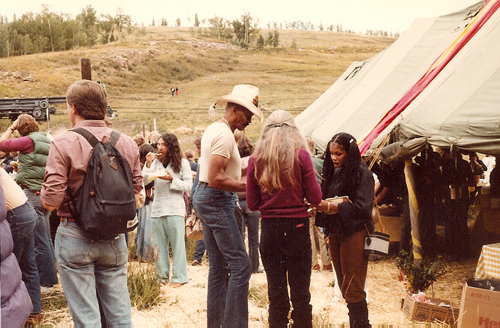 Getting to the festival was an adventure, especially since I had never even seen the Rocky Mountains. 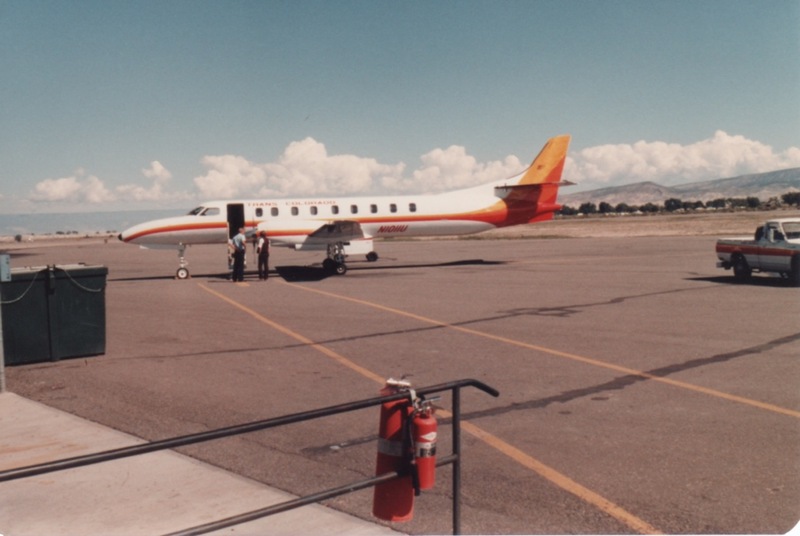 I had to switch planes in Denver and board a small 20-30 seater commuter plane dubbed “the vomit comet” by festival regulars but I was in good company. 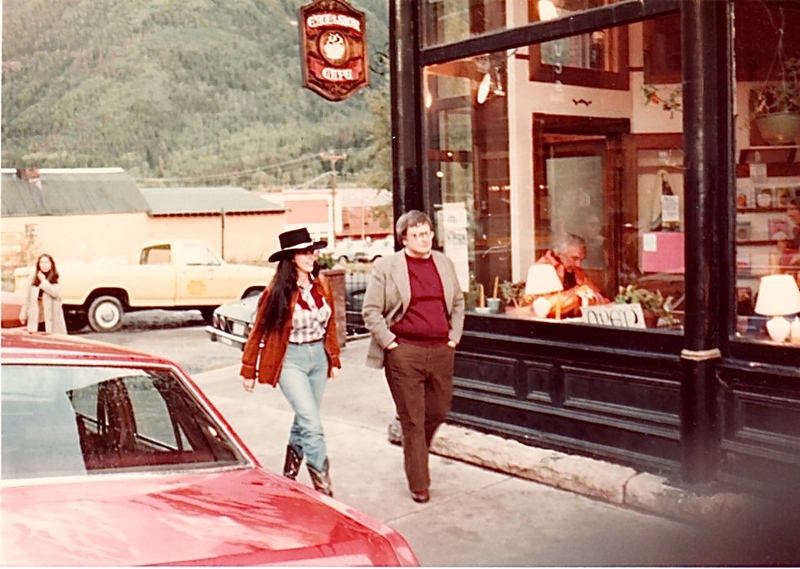 I noticed that Roger Ebert was behind me (his film review show with Gene Siskel, Sneak Previews, was nationally syndicated at the time) accompanied by a tall, striking brunette in a cowboy hat. 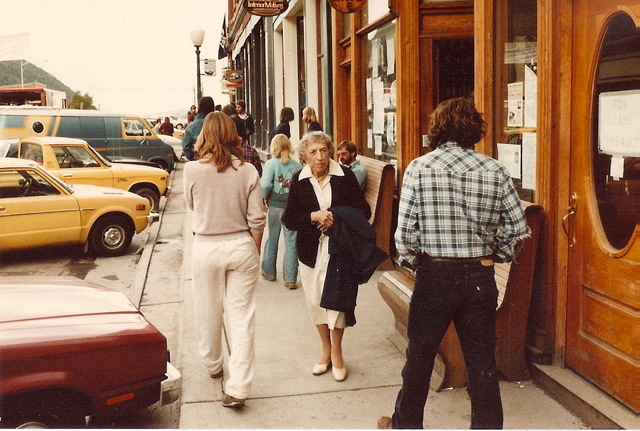 In front of me sat actress Susan Anspach (Five Easy Pieces, Blume in Love) and her young daughter and other passengers included several film distributors and past festival attendees. We landed in Montrose, a small town near Telluride, and some of us took a shuttle bus to the festival, stopping for lunch along the way at The Root Cellar in Ridgway. Among my fellow passengers were Doug Lemza and Don Rosen, both of whom were working for the theatrical division of Films Inc., which distributed the Janus Film collection (which is part of the Criterion Collection), 20th-Century-Fox, Paramount, and other classic studio libraries to the college/non-theatrical market. It was my first realization that a career as a film distributor might be a viable and fun way to make a living, especially if you were knowledgeable about film history and movies as a business (Variety magazine was a good teacher). 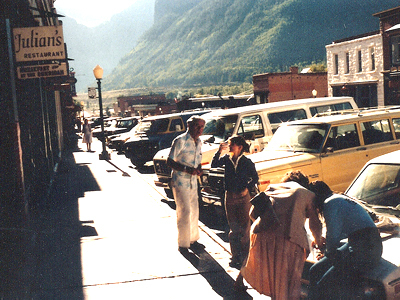 Once we arrived in Telluride on a bright, sunny Friday around lunchtime, everyone went their separate ways. I picked up a copy of the official schedule and began to plan my weekend around key screenings and then headed off for the campground where I staked my tent and got set up (The campground has changed drastically since then, offering only a limited number of camping spaces for festival goers). 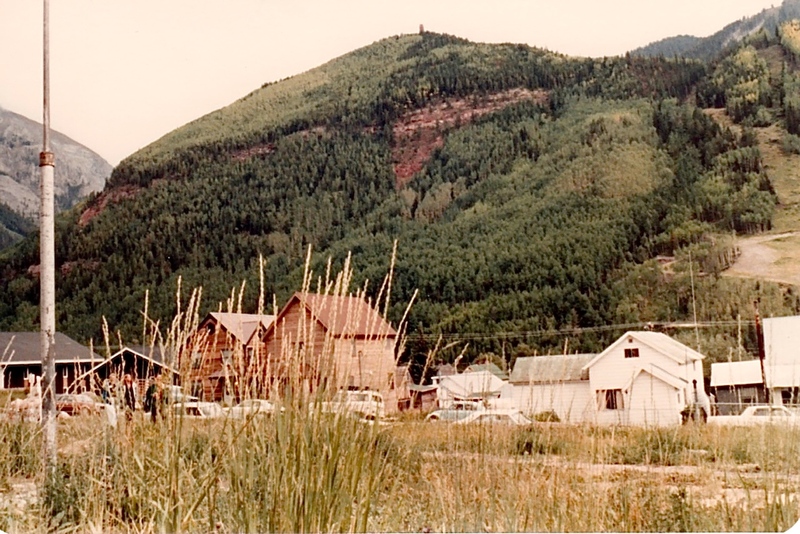 Then I took a long hike up to Bridal Veil Falls which you can see high above the town from E. Colorado Street, the town’s main drag. 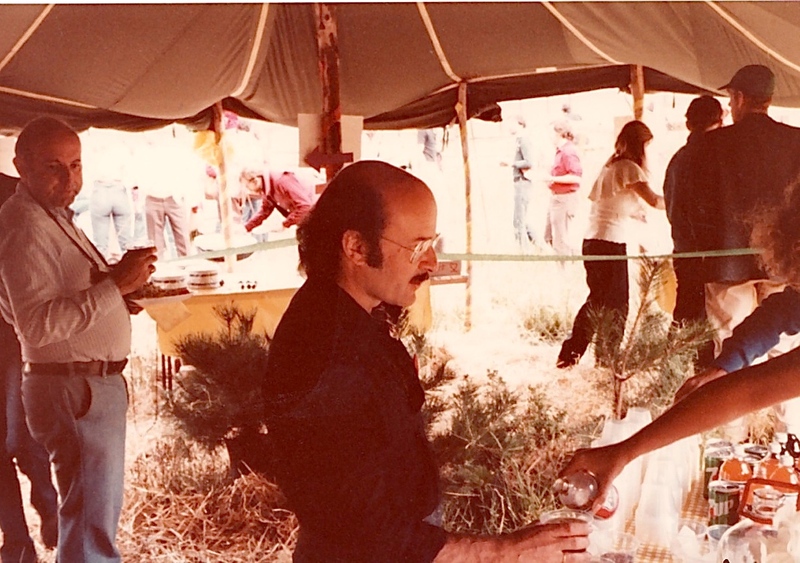 By the time I got back, it was almost time for “The Feed” – a simple buffet dinner that was offered to the festival passholders before the onslaught of film screenings. Not completely understanding the terms of my pass until too late, I only observed this “private party” from outside the patio of the Sheraton Hotel where it was hosted, not realizing I could attend (the patio no longer exists and the Sheridan was later expanded to fill out the block; the historic hotel has now been converted into private condominiums). Then the festival began and I was plunged into an intensive, sensory experience for most of the next four days. EIGHT MINUTES TO MIDNIGHT was my first festival selection. 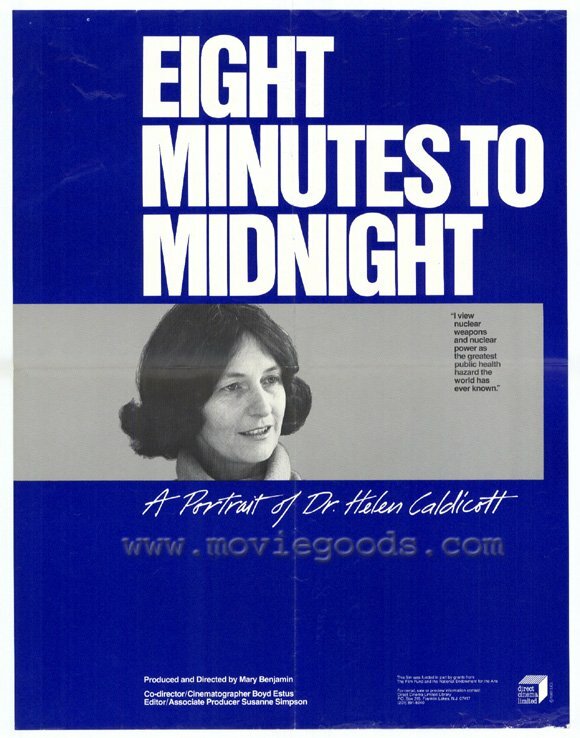 A 1981 documentary by Mary Benjamin about Dr. Helen Caldicott and one of the most outspoken antinuclear activists at the time, the sixty minute feature was assembled from news and interview footage between 1978 and 1980. It was not the most dynamic introduction to the festival but the straightforward, unadorned film held my interest due to Caldicott’s passionate and intelligent defense of her opposition to nuclear energy and weaponry. The film would go on to run for Best Documentary Feature in the yearly Oscar competition. Next was TALE OF TALES aka Shazka Shazok, a haunting 29-minute feature by Russian animator Yuriy Norshteyn that was a collection of vignettes inspired by folk tales and parables in the manner of Aesop’s Fables. I’m quite amazed that you can see this celebrated work – considered the greatest animated film ever made by Hayao Miyazaki (and that’s some compliment) – in its entirety now on YouTube. I was already a Klaus Kinski fan (who had been a guest of the festival two years earlier) and was expecting great things of FRUITS OF PASSION aka Les Fruits de la passion, an adaptation of the novel Retour a Roissy (Return to the Chateau) by Dominique Aury, the same author as The Story of O, who used the pseudonym Pauline Reage. Directed by Shuji Terayama, the French-Japanese production was an uneasy blend of exploitation film and high class art film. It centered around a prostitute named O (Isabelle Illiers) who calls the shots in her own debasement and liberation with Kinski as her most possessive client and what a piece of work he is. The film had the potential to be a midnight cult film but was spoiled by its frequent excursions into literary and philosophical pretentiousness. 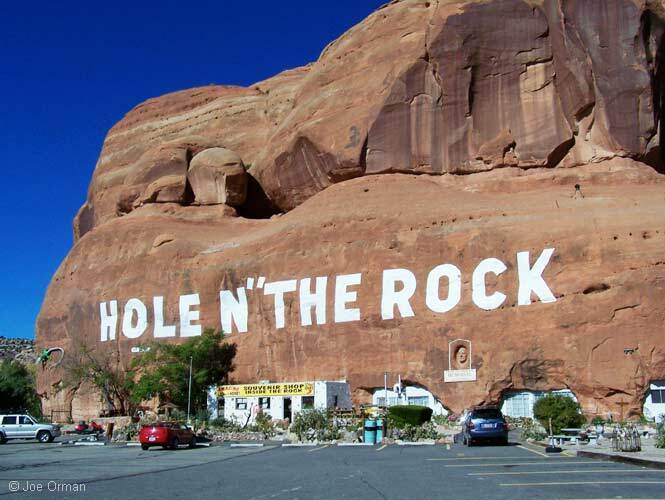 A HOLE IN THE ROCK, a short film by Suzanne Pastor, is a delightfully offbeat tribute to the curious roadside attraction created by Albert Christensen – a 14-room cave house, museum and gift shop that still exists outside Moab, Utah. I have since visited this nutty tourist destination and it’s worth a side trip it you love “Roadside American” kitsch. 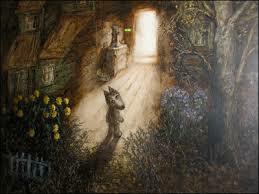 I’d love to see this short again but it appears to have vanished without a trace. There is no listing on IMDB or anywhere. I had heard of French director Nelly Kaplan before but was not familiar with her films. 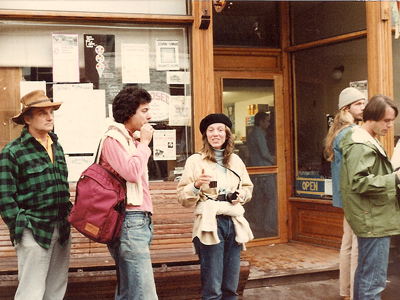 She started her career as a film archivist but later became a film journalist in Argentina. Eventually she entered filmmaking through her association with legendary silent pioneer Abel Gance; they collaborated on some films together and allegedly were lovers. 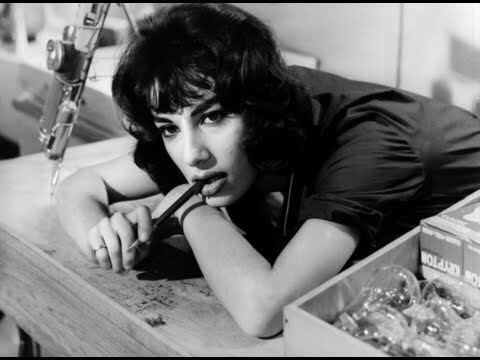 Kaplan was in Telluride with a print of her 1969 black comedy A VERY CURIOUS GIRL, aka La fiancée du pirate, which starred Bernadette Lafont as the town prostitute in a provincial village who turns the tables on her hypocritical customers and neighbors. Some of the film’s bitter but lightly played satire was striking and some of it was merely misanthropic; It certainly made me curious about Kaplan’s other work which includes Nea aka A Young Emmanuelle (1976), probably her best known title, and Charles et Lucie (1979). One of the festival highlights for me was the “Character Actors Tribute” that included a panel discussion with John Carradine, Woody Strode, Margaret Hamilton and Elisha Cook, Jr., all of whom had delightful anecdotes about their career and specific films. Afterwards I was quite moved by the sight of these actors mingling with the festival goers in the streets or just wandering around town like any other visitor. Strode, of course, towered over everyone else. You couldn’t miss him walking down the street with his lovely wife as if he owned the place. And he did. They later showed John Ford’s SERGEANT RUTLEDGE (1960) in Elks Park as a tribute to Strode. Carradine was also represented by a Ford film, THE PRISONER OF SHARK ISLAND (1936), Cook Jr. by Andre de Toth’s DARK WATERS (1944), and Hamilton (seen below) by THE WIZARD OF OZ (1939). I later managed to sit beside Hamilton on our way by bus to the town’s picnic near Mountain Village (the gondala had not been build yet) where attendees were able to mingle with the guests/honorees and enjoy a lively panel discussion that included the animated Sam Fuller (Pickup on South Street), Brazilian director Carlos Diegues (Bye Bye Brazil), Yugoslavian auteur Dusan Makavejev (WR: Mysteries of the Organism), Nelly Kaplan and others. Another memorable moment was when some of us queued up for a mystery film to be screened early in the morning at the Nugget. 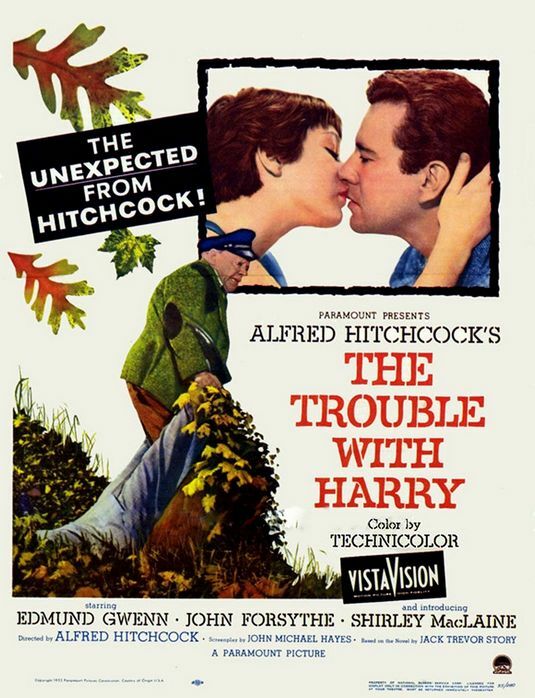 It turned out to be a beautiful print of Alfred Hitchcock’s THE TROUBLE WITH HARRY which had to remain unannounced because of estate issues and had been out of distribution for years along with Rope, Rear Window, Vertigo and The Man Who Knew Too Much. Universal would later re-release all four of these in dazzling remastered prints in the 1980s but the Telluride screening of HARRY was the first time I had seen it since high school and it was a thrill. It was also a continuation of the character actors salute as the movie provides wonderful showcases for Edmund Gwenn, Mildred Natwick, Mildred Dunock and Royal Dano. 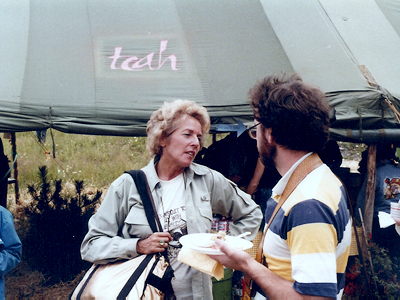 Year after year festival attendees would become quite familiar with the sight of the TIFF organizers – Bill and Stella Pence, James Card and Tom Luddy – rushing about in their hosting duties and some of the guests such as Leonard Maltin, Roger Ebert, film historian William K. Everson, Ken Burns, animator Chuck Jones, Stan Brakhage and others would become part of a returning family. There are also favorite directors and actors who are invited back often with their new work such as Werner Herzog, David Cronenberg, and Michael Haneke. 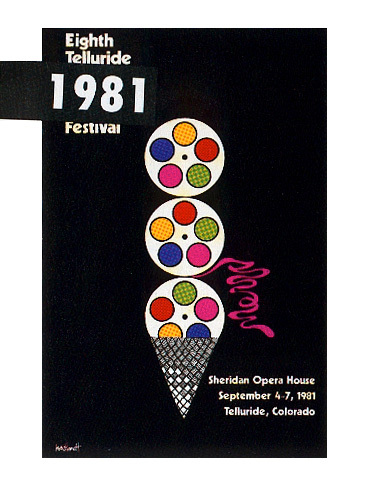 One major difference between the 1981 festival and more recent shows is the reduced amount of experimental film offerings. Even die hard cinephiles don’t seem to support or attend the sort of adventurous making that made The Filmmakers Coop in New York City such a one stop shop for the avant-garde in the sixties (Ken Jacob, Andy Warhol,Willard Mass, Ron Rice, Maya Deren, etc. The 8th TIFF had numerous programming events that exposed passholders to some very challenging and uncommercial work. “Digital Harmony” was a program hosted by computer animator John Whitney featuring several of his works – ARABESQUE, MATRIX III, PERMUTATIONS (You can see this on YouTube) and UNTITLED. 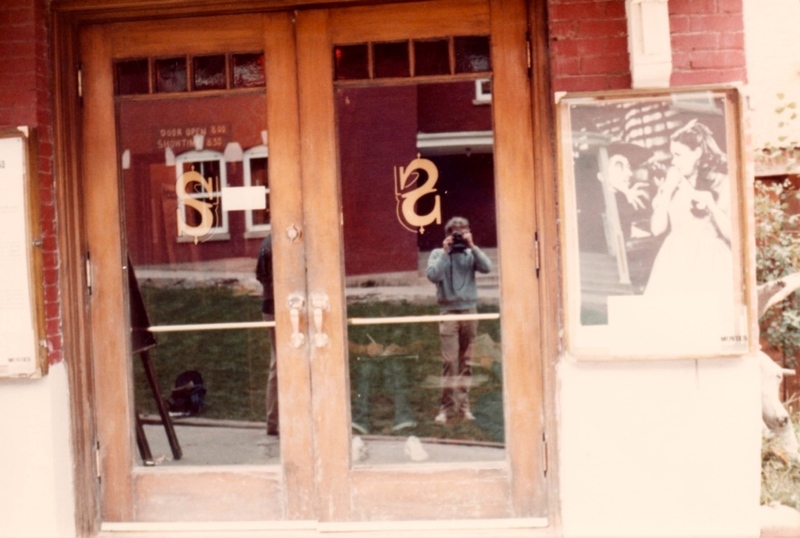 Stan Brakhage, a regular fixture at the festival until his death in 2003 and a local celebrity of sorts – he taught film at University of Colorado at Boulder – curated a program that exposed people to such films as EYE MYTH and THE GARDEN OF EARTHY DELIGHTS. 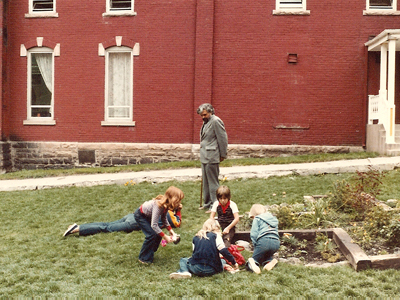 Jonas Mekas’s PARADISE NOT YET LOST, OR OONA’S THIRD YEAR (1980) was also unveiled and many innovative short films such as Whitney Green’s BALANCES and Stan Phillips’ CURRENT EVENTS were premiered. The majority of the films presented at TIFF usually receive theatrical distribution within a year of their festival premiere but there are always a few that are doomed to obscurity and the one I saw that has since vanished into obscurity was a no-budget indie feature entitled ATRAPADOS aka Trapped, directed by Matthew Patrick. I’m always a sucker for post-apocalyptic melodramas like Arch Oboler’s Five or The World, the Flesh and the Devil but this one took place in almost total darkness, illuminated by flashlights and candles. It started with the residents of an apartment house being buried alive by some external calamity and the only characters to survive were a middle aged, working class man and a slightly older upper class woman. In what is essentially a two character study, the two survivors must depend on each other for survival despite their differences over social, religious, sexual or behavioral issues. The film never breaks out of its claustrophobic setting which gives it an unresolved tension but the doomsday mood permeates everything by the end, resulting in a film festival bummer. (You can now view the entire movie on YouTube above). TIFF has always offered a nice mix of new work with rare screenings of classic films and major restorations. I missed a lot of great stuff my first visit – Jean Renoir’s CATHERINE (1924), Janet Gaynor in DADDY LONG LEGS (1931), SILVER DOLLAR with Edward G. Robinson (1932) – but I did catch a Yugoslavian film I’d always wanted to see – LOVE AFFAIR, OR THE CASE OF THE MISSING SWITCHBOARD OPERATOR (1967) by director Dusan Makavejev, who was at the festival presenting the delicious black comedy MONTENEGRO starring Susan Anspach (pictured below). There is also the rare film I remember absolutely nothing about and the winner in this category is FEAR NOT, JACOB! aka Furchte dich nicht, Jakob! by West German filmmaker Radu Gabrea who was at the festival. This surprises me because I very clearly remember his bizarre 1984 feature A MAN CALLED EVA aka Ein Mann wie EVA which was a delirious fiction modeled on director R.W. Fassinder with actress Eva Mattes playing him in drag. 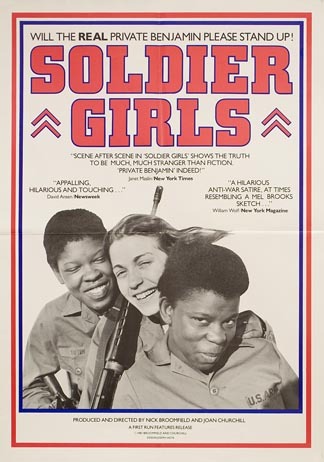 I clearly remember that one of the audience favorites in 1981, based on the enthusiastic responses in the theatre, was the Joan Churchill-Nick Bloomfield documentary SOLDIER GIRLS. An intimate portrait of the Charlie Company, a unit of female soldiers in basic training at Fort Gordon in Georgia, the film was an often hilarious precursor to the reality TV shows of today though nothing was staged here, even if at times it seems to enter theatre-of-the-absurd territory. For myself, I’ll never forget the final night of the festival when the community center was turned into a polka dance hall. First Les Blank screened footage from two documentaries that he was still working on – SPROUT WINGS AND FLY, which focused on 82-year-old Appalachian fiddler Tommy Jarrel, and IN HEAVEN THERE IS NO BEER? which explores the Polka culture in America. Then the metal folding chairs were cleared, a polka band came in, set up and begin playing and the party really began with beers aplenty and some serious polka dancing. I mainly watched from the sidelines and then noticed Keith Carradine standing beside me; he had roared into town on his motorcycle earlier to see his father being honored. In between the constant screenings of film throughout I would take quick breaks for coffee, the bathroom, and a bite to eat, never pausing long enough to have a sit-down meal except for breakfast . Except for clear, sunny weather on Friday and during the Mountain Village picnic, most of the festival unfolded under the pouring rain, light drizzle and hazy, overcast skies. I would prolong going to my damp tent each night where the sound of water was omnipresent, either landing on the tent or coming from the gurgling stream by my campsite. By the last night, I had had enough – I was starting to mildrew – so I charged a hotel room to my overextended credit card. Still the unpleasant weather didn’t prevent me from having an extraordinary experience. I was put at ease from the very first day by the general friendliness of everyone there from the passholders to the celebrity guests. There was a very genial, clan-like mood in the village. Some of the people I met I kept up a correspondence with for a while such as Kent and Mary, a young couple from Eugene, Oregon. The couple later moved to New York City and split up. Mary moved to San Francisco, got married, had children and Kent moved into television production, eventually serving as producer of Michael Moore’s TV Nation and working for Comedy Central on Strangers With Candy and Upright Citizens Brigade. That’s about the time I lost touch with him. He has since gone Hollywood in a big way – producing major films like Elf, David Cronenberg’s A History of Violence and Todd Field’s Little Children. He even directed a film himself, Semi-Pro with Will Ferrell. I wonder if Kent even fantasied at the time that he would one day be a producer premiering some of his films at Telluride? That’s the amazing thing about TIFF. You never know who you’re going to meet and how it might change your life. It certainly changed mine. When I returned from the festival, I focused completely on getting a job in the film distribution world even though my only experience was working for the cinematic arts committee in college. Still, boutique outfits like UA Classics (created by Michael Barker, Tom Bernard and Marcie Bloom) were thriving at the time and repertory cinema was still a healthy market and, if nothing else, I had a fairly strong background in film history, most of it self-taught. Long story short, within a year I landed a job as a film programmer/salesman at Films Inc. (the Atlanta office) and sold/marketed movie packages to universities such as Auburn, University of Tennessee, Vanderbilt, etc. 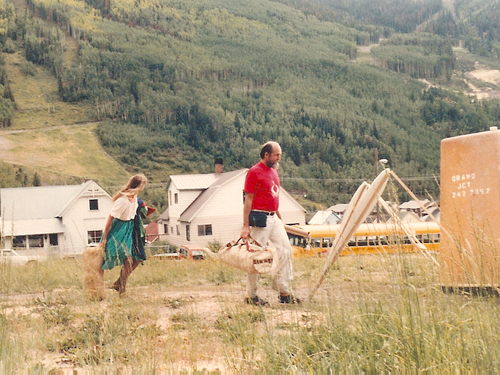 Ironically enough, one of the people that interviewed me for the job was Doug Lemza, who I had met briefly at the 8th Telluride Film Festival. 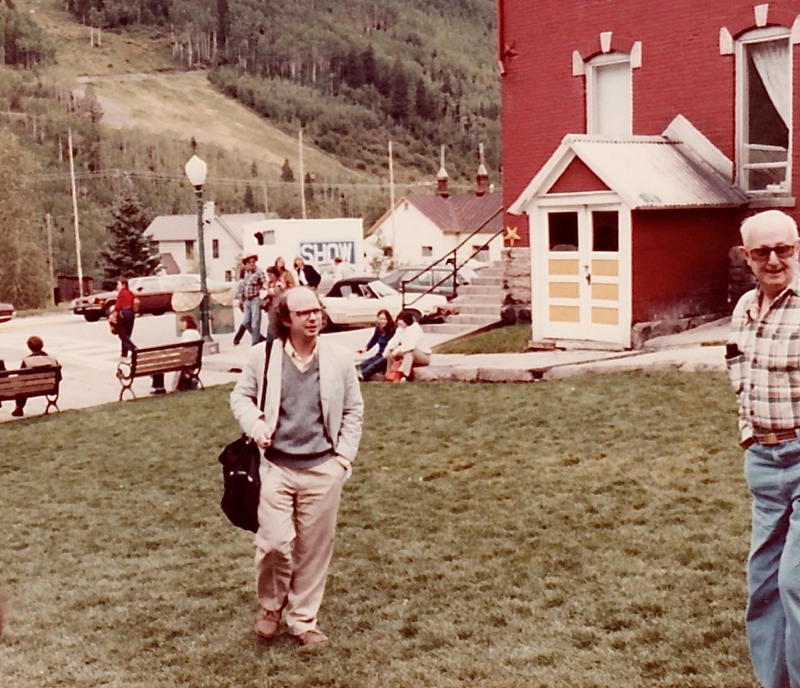 I have no idea what happened to Doug or Don Rosen, who I last heard was at Miramax Films, but my brief encounters with these people at Telluride marked a real turning point for me. It was really the beginning of a career switch that eventually led to my twelve year stint as the managing editor of the Turner Classic Movies website (2000-2012) and it was all due to that first transformative experience at TIFF 1981. I hope that the 41st annual “Show” has the same exhilarating effect on first-timers. And even if I’m going to miss it this time, I’ll be there in spirit. * This article is an extended and revised version of a blog post that originally appeared on the Movie Morlocks website. This entry was posted in film and tagged Andre Gregory, Bill Pence, Elisha Cook Jr., Elks Park, Film Comment, Galaxy Theater, James Card, John Carradine, Kent Alterman, Klaus Kinski, Les Blank, Margaret Hamilton, Michael Moore, My Dinner With Andre, Nelly Kaplan, Roger Ebert, Sam Fuller, Sheridan Opera House, Stella Pence, Telluride Film Festival, The Trouble With Harry, The Wizard of Oz, Tom Luddy, Wally Shawn, Woody Strode by JStafford. Bookmark the permalink. Great article and photos (and there’s Telluride regular Bill Everson in the rear left photo of Whitman). 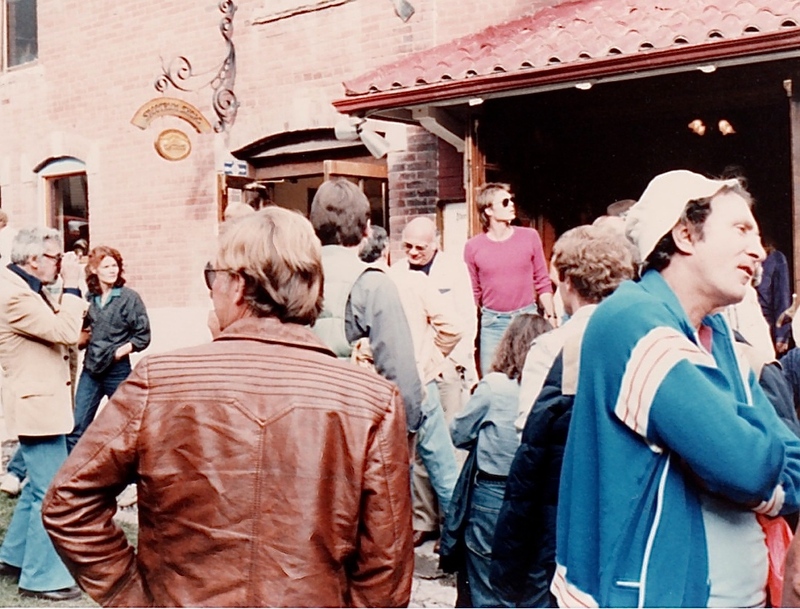 I regularly went to Telluride in the early 80s and I am pretty certain the WIP screening of In Heaven There’s No Beer was in 1982. In 1981 Les Blank showed the WIP screening of Burden of Dreams and the film freaked out Schlondorff, who is rumored to have offered to buy the negative. The tribute to Fuller (with a screening of Pickup on South Street) was great. Thanks for your comments. Yes, Blank did show WIP footage of Burden of Dreams in 1981. Here’s a link to an article that confirms it – http://film.society.tripod.com/nzffs/bla-burden-of-dreams.htm. I wasn’t in the audience for that screening. But I did see the WIP footage for In Heaven There Is No Beer at the same festival. 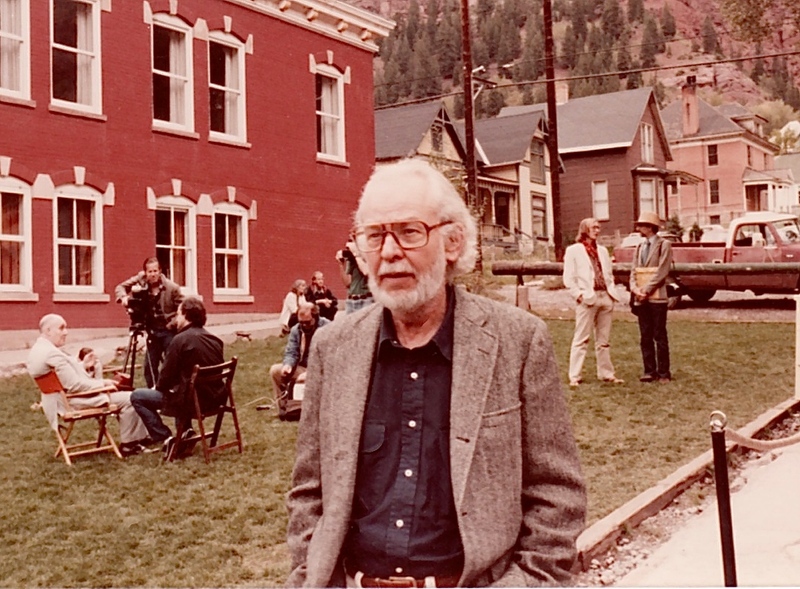 Blank showed the completed version of In Heaven There is No Beer at the 10th Telluride Film Festival and the completed version of Burden of Dreams (along with Herzog’s Fitzcarraldo) at the 9th Telluride Film Festival. Those were the days.